i had another layout and card to share from my crate paper samples that i mentioned yesterday. once again, i simply started with about eight 3x3 squares of pattern paper. this time using the paper doll collection. i picked my favorite six of them, and here's what i did. awwwww, miranda. such a sweetie. and one of my all around favorite, technically awesome shots of all time. and yes, i've scrapped this photo before. no reason i can't use it again. i was actually looking for another photo on my external hard drive, and came across this one. it just called out to me, to be used. i trimmed down the papers to fit the area i was working with, and then distressed the edges of them and roughed them up. then on three of them, i found coordinating thread and tied it haphazzardly around the paper and tied a bow on the front. then i adhered the thread-wrapped papers with pop dots. i had shown this to a few friends, and one of them asked if i had bought that thread to match. nope, i didn't. i just happen to have a very large jar of random embroidery threads, in just about every color out there. so i can usually find what i need. and then another twist on the card i posted yesterday. this time using samples from the pink plum collection. one of the booths that i enjoyed visiting while at CHA, was crate paper. they had some really fun new collections that i can't wait to play with. they had some little samples of papers out on rings, that we could take with us. they were 3x3 squares of the pattern papers, and i knew i had to do something with them, just for fun. this layout and card were made from the new brook collection. i distressed the edges of all the pattern papers, before adhering them to the page. it's such a simple step, just to rough them up a bit. but looks really cool on the layout. i had just recently got the dear lizzie collection, designed by elizabeth kartchner. i had it all on my desk, waiting to be used, and decided that the fun chipboard pieces worked perfectly on this. love the fence and the printed tree. so cute. and the glittered birdhouse, love anything that is already glittered for me. the foil chipboard letters are from american crafts. i was looking for a short title, to fit in that spot. not sure how i came up with this. i say "hey" all the time, much more than i say "hi". my way of getting someone's attention or greeting them. and i had a few squares left over, so i made this quick card too. it's 4x4 in size. i'm loving that little size lately, and love that i can get 4 cards from one sheet of 12x12 cardstock. you might have caught a glimpse of these cards in booth photos from CHA. but they went up on the jillibean soup blog today, so now i can give you a closer look. my assignments were all using the alphabet soup collection, along with some soup staples. i'm not even sure i noticed this when i created this card. but the "text me" sentiment makes me think of typing and letters. and there are letters on the pattern paper, and on the printed twill. i want to tell you that i was cool enough to plan that, and to have thought that out. but i honestly didn't pick up on that until right now, when i was uploading this to the blog. lol! love that journaling block, which came from the top ten clear stamp set. and the new alphabet stickers in glazed green. for this card, i punched circles from different patter papers, and arranged them like flower petals behind the large center circle. this card has a ton of pop dots and extra dimension, which is sort of hard to tell in this photo. i pop dotted that lined paper circle, then pop dotted the corrugated alphas, and the stamped banner. the banner was made using the birthday party clear stamp set. i stamped it onto white cardstock and then the lighter beige cardstock. cut out the banner in the white, and then cut just the triangles with the letters from the beige and adhered those to the white banner. added a few red gems to the ends of the banner, and red stickles on the bottoms of the triangles. did you notice that i did a lot of distressing and inking on the edges of these papers and cards? i havn't done that in ages, and i find i'm turning to it a lot more these days. i felt like some of my layouts were lacking a certain "ummph", and roughing up the edges and inking here and there made me feel better about them. the red paper here, is cut from one of the report cards on the beef bouillon paper. added some of the new alphabet stickers to a journaling sprout, and pop dotted the entire thing to the front of the card. are you ready for something fun? three awesome manufacturers are teaming up for a blog crawl! jillibean soup, it teaming up with a few of their friends. bella blvd and nikki sivils. and we would all like to invite you to join us for a MASSIVE blog crawl! where: start here at the jillibean soup blog and we'll post where to go next. not only will you have a chance to win large product packs from each of the manufacturers, but many of the design team members are havin HANDMADE gift giveaways on their blogs. close to 50 members will be participating. that's a ton of giveaways! there will be links and more links for you to check out on each of the manufacturer blogs starting on march 5th, 2010. so be sure to mark your calendars! i used to do these "randomness" posts all the time. need to remember to do these more often. so here we go. a different sort of version of the randomness. 10 totally random photos from the past two months, and their stories. alyssa and her dad bought this little dude yesterday. it's been a while since we had a hamster in the house. the girls have actually been asking for another hamster for ages now. they must have caught me on a good day, because i said "yes". they're still trying to decide on a name. in fact, i dug out this photo of the last time we had a hamster here (sarah is holding him in the photo). august of 2007. and look at haley! she's so tiny, and only about 9 months here. so stinkin cute. just looking at this photo, i'm having an "awwwww, how did my daycare girlie grow up so fast" moment. this photo is from the band concert back in december. but alyssa was chosen to participate in honor band this year. they had about 70 jr high students, from about 10 different schools in the city. they practiced one night a week, for a month. they had the honor band concert about 2 weeks ago, and it was incredible. seriously, they sounded so amazing. i wish i had gotten photos that night. joe's getting geared up to start umpiring again. he's had some meetings, taken and passed the super long written test, and been evaluated in action. as long as it doesn't rain this week (which it's supposed too), he starts actual games this week. i think he has 4 of them on the schedule just this week. so he'll be super busy. alyssa scored a part in the drama production that the jr high will be performing in a few months at school. she was in it last year too, and i was so impressed with the show they put on. this year is "alice in wonderland", and she'll be playing the part of "small alice". there are 3 alice's in the play, and one of her BFF's is "big alice". my island photo of the week. can you tell what i'm working on? sure, there's a few layouts up there. i'll share those next week. but mostly, it's tax stuff. boring, but it has to be done. i had a years worth of receipts that i was sorting and itemizing. i made my appointment with the tax people for next weekend. figured it would force me to actually get everything ready. joe's been trying to fit in some golfing, before he gets too busy umpiring. not even sure when this photo is from. my brother just happened to send me some photos he had from one of their days out. not the greatest photo of either of us. but i'm sharing it anyways. our disclaimer? it was like 8:00am in the morning. i hadn't done my hair yet, or half my makeup. nikolas is doing his new smile, which consists of closing his eyes really tight and actually thinking he's smiling. anyways. my point to this photo, was that i've been wearing my hair straight for over a week now. first off, i'm amazed at myself for actually figuring out how to straighten it using only a round brush. second off, it's growing on me. it's a lot easier than the curls, to be honest. although i keep asking the family, "what do you REALLY think of the straight hair". lol! i've been doing a little reorganizing and cleaning in the scraproom these last few weeks. just a little here and there, very randomly. figured i'd share a few peeks today. it started about 2 weeks ago, when i randomly started cleaning out my cardstock one night. i had 5 full rows of cardstock. and it was in a random order. it's almost all bazzill cardstock, but i had a lot of it seperated out by the textures and manufacturers that it was made to match. that's from years ago, when that mattered to me. and i also had a ton of all the colors, sometimes more than 10 sheets of the same shade. this is all pretty much older cardstock too. i probably don't even own all the latest and greatest shades out there. anyways. i purged it all out, and organized it by color. so all my reds are together, all my greens, etc. my giveaway stack of cardstock was 10 inches high. i'm not even lying. love that it's down to just 3 rows. which then gave me two rows to use for some pattern paper. i keep my pattern paper in the vertical paper holders, on the shelves above the paper trays. and i like it in the vertical holders. but i did decide to put a lot of my making memories pattern papers in the trays. these are mainly just the newest collections. it's nice, because it's easy to get too and i just lay all my scraps right in there too. those used to get lost in the vertical holders. this little nightstand is really old, and used to be white. it was in alyssa's room, and when we redid her room a while back, my mom painted it black. then it came out of her room, and just got set out in the loft upstairs. it really served no purpose, other than another spot for the girls to dump stuff. i had this thought yesterday, that it would fit in my scraproom. i have this small area in between my two ikea shelves that wasn't being used, right under a window. and it fit perfectly. i'm sure this will change later. but for now, i set some of my larger jars of buttons, brads, and flowers on there. a few of these jars were actually on top of my ikea shelf, which wasn't the safest thing to be grabbing those all the time from up high. i also set my cuttlebug on there. it's been on the floor for months now, since i just didn't have a spot for it. in the top drawer, i put all my cuttlebug stuff. the embossing folders, extra plates, and dies. not sure what i'll put in the bottom drawer yet. i love these storage boxes, and have a bunch of them stacked on top of one of my ikea shelves. i've finally been cleaning out some of them. i had mentioned 2 of these containers in THIS POST from a full 2 years ago. the one that held all my supplies for my "thankful" mini album, and one that held all my supplies for my "journal my christmas" album from 2007. i was still holding out hope that i would finish working on those albums, even two years after blogging about my lack of finishing them. ridiculous. last night, i pulled out all the product and worked it back into my normal stash. cardstock with the cardstock, pattern paper with the pattern paper, ribbon with the ribbon. if i want it, it's still there. but those 2 boxes? they're now empty, which makes me feel good. there were other boxes i cleaned out too. but those 2 were the ones that were a bigger deal to me. lol! i have 3 of these magnetic boards from making memories, but one of them had been hanging there with nothing on it at all. i found these round storage containers a while back at michaels, and i got 2 in the package for less than $3 (on sale). my thinking is to put some of the miscellaneous buttons and brads i have in them. i like to know (and actually have to know for pubbing purposes) what manufacturer made what. but i still want to have them unpackaged and where i can see them. but you can see i only filled up 3 of them. that's because i'm testing them. i'm not totally convinced on the seal on these containers, and how well they'll stay closed. the lid seems to stay on pretty well, but i'm still worried that one day, the lid will come off and the buttons will be all over the place. and mixed up. lol! i know, i'm being paranoid. but it's a much better excuse, then if i told you i've just been too lazy to finish filling them up ;) and yes, that's a copenhagen advertisement in the basket. there's a reason i have it. we'll see how long it takes me to get around to that. i've been patiently waiting to share this layout. and now is the perfect time. because as much as i love red and pink, this blog needs some color after all those valentine's projects. and this layout is full of color! let me start with my inspiration piece. this folder that the girls and i found at target, at back to school time. a periodic text message table. on a folder (they did have this on notebooks and stuff too). how cool is that! of course, alyssa thought it was awesome and had to get it. and the entire time, i'm thinking that this would be a great thing to have to look back on, years from now. to be able to show later generations how kids these days "talk", which is through text speak. lol! so i picked one up for myself on another target run. just so happened, that i received an assignment from creating keepsakes about this same time. and one of the ideas they were looking for, was a layout about teen slang. hello? any idea how quickly i jumped on that one? lol! right away, i knew i would use this folder. as seen in the january 2010 issue of Creating Keepsakes magazine. copyright creative craft groups. posted with prior permission from the publisher. and that is how this layout came to be. i ended up going to buy another folder, because i wasn't totally sure about how i was going to cut it up. i ended up just cutting out the two main parts of the periodic table and adhering them to my cardstock background. i found a few photos of alyssa texting, and doing her thing. she got her cell phone a few months after she turned 11 years old. and she's a pro at the texting. me? not so much. but with this periodic table, i can understand what she's typing. i know a few of these of course. you all know i know "LOL". and i know "BFF", and "ROFL", "TTYL", "BTW", and some other common ones. but most of these, i would never figure out on my own. i honestly, LOVE that i scrapped this. i LOVE that this will be in a scrapbook, for the girls to look back on years and years from now. when there will be an entirely new teen slang way of talking to each other. well, my streak is over. i have officially let myself off the hook for making any more valentines projects. lol! i lost my steam. and needed a break from all that pink and red. but i did remember this mini album that i have laying around, and figured i would share it. this is a 6x6 mini album, an older preservation album from SEI. i always loved using these in my classes. i used kraft cardstock for all my pages, and then green and maroon cardstock blocks and strips. i loved these playing card style cards from bazzill, and used the "L" on the title page, and the numbers on all the other pages. i think i got 2 albums out of each package. which means, that to this day, i still have about 10 packages of these cards laying around. with the exception of the letter "L" and any numbers. lol! the embellishments were simple. a variety of chipboard hearts, little vellum tags, metal hearts, metal clips, buttons, brads, and pieces of ribbon. everyone got the same mix, and could use them in whatever way they wanted. although i'm pretty sure that most of the ladies did whatever i did on mine. after all, mine was totally thought out. i would never just randomly throw stuff on my pages in any random order. lol! there are 7 more pages like these. 10 spreads total. for 10 reasons. the idea was to put a photo on that second page. and then write one of your reasons for loving that person on those 2 white journaling strips. it's a brilliant idea. no idea why i never did this. i obviously intend to do it, since i still have the album. are your kids handing out valentines in their classrooms tomorrow? i guess since alyssa is in the 8th grade, it's really not the cool thing to do anymore. lol! so no valentines for her. i think sarah is nearing the end of the valentine era too, but she is still doing them this year. and since kids need somewhere to collect these valentines from all their classmates and friends, how about a cute mailbox project for today. this is simply a cardboard pencil box. i bought it at michaels, for about a dollar. it's white, which gives you a nice base to build on. you could easily paint the box, if you wanted more color on there or to finish off the edges. you could decopauge the papers on, and then give it a shiny coat on top. you could do all sorts of things to spiffy this up. but me? i was sitting on the couch, and wanted it to be as simple as possible. lol! so i just measured and trimmed my little yellow bicycle pattern papers to size, and used regular adhesive to adhere them to the box. i'm doing pretty good this week. i wanted to share a project a day, and so far, so good. today's simple valentines project is a cute button heart. i should have taken some photos of the process. i never think to do that. sorry. i started with the spinner heart embellishment. i put about 3 layers of pop dots on the back of the heart, and then stuck it right to the middle of the styrofoam heart. i wanted to be able to tuck some of the buttons underneath the heart, which is why i layered so many pop dots to give it more height. then i started adhering buttons. i started with the larger buttons, right around the spinner heart, and tucking them under just a little. then i just worked in small sections, using a mix of smaller buttons and larger buttons. i used glue dots to adhere all my buttons. for buttons that needed a little lift (because they were slightly on top of another button), i used the 3-D glue dots. sometimes, i even used 2 or 3 of the 3-D glue dots on one button. lol! there are a few spots where you can see the styrofoam just a little bit. this really doesn't bother me much. but if it did, you could always paint the heart first, or work some smaller mini buttons on those spots. i did add a few mini brads here and there, just sticking the brad prongs right into the styrofoam. as for the edges of the heart, i simple added some pink ribbon. i was going to use more buttons at first. but i went with the ribbon, since it was easier. it was slightly wider than the sides of the heart, so it does hang over the edges a bit. i'm fine with that. to adhere it, i just stuck pearl-tip pins every half inch or so. i started at the bottom of the heart, and worked my way up. so when i got to the top, i had the two ends that i could bring up and tie together. this gave it a loop to hang it from something. last week, i shared some valentines cards i had created using pieces from the making memories love stuck garland kit. i also used pieces to make a fun layout. 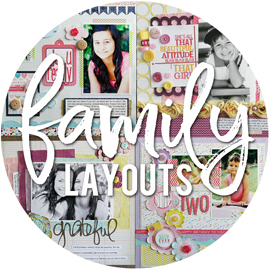 you can see the entire layout over on the making memories blog today. the pattern paper pieces (with the stamp edges), the chipboard letters, the beads, and the brown ribbon are all from the garland kit. i just added a few more strands of ribbon, four embellishments, a metal clip, and some journaling strips. just eight quick "soooooo sweet" things that joe does for me and that i wanted him to know that i appreciate. my goal this week is to share a little valentines project with you, each day. i have a few really cute valentines collections here, and have wanted to use some of each of them. while i'm not a huge valentine's day person in general, i do love the pinks and reds and hearts that make up the holiday. today i'm using some pieces from the making memories love struck collection. today i'm sharing these cute little photo holders. i know they would look a lot better, if i had actual photos tucked into those metal loopy things on the tops. but if i went looking for photos just to take this picture of the project, i would never get around to posting. lol! so just know that you can tuck little photos up there. these were just unfinished wooden blocks (with the metal pieces), that i found at michaels. i think they were $1.50 or $2 each, can't remember which. then i painted the wooden part with brown paint. and not very neatly, i might add. i can see some brown paint on the metal pieces. lol! i knew i was adding the pattern paper, so i mainly just painted the top part, and then the edges all around. i gave it two coats. then i measured and cut my paper pieces (twice, since my first ones were wrong). i used mod podge to adhere the paper to the wooden blocks. brushed the mod podge onto the paper, and stuck the paper to the wood. rubbed it down really good, pushing any air bubbles out to the edges. then i added another layer of mod podge to cover the entire thing, right over the paper. first up, thanks to everyone that left comments for the giveaway. i believe that a new magazine or idea book can make the world a happier place. truely, i do. you should see how excited i get every time i get one in my hands. lol! so i'm glad i can send two of you the same sort of happiness. called upon the random number generator (love that thing for it's fairness), and it told me #50 and #68. congrats girls! send me your mailing addresses, and i'll get those out to you. I'd love to win this magazine! I'm always organizing. Hi; I would love to win a copy of this issue and not just because you are in it ;) So please pick me!!! since valentines day is coming up, i thought it would be fun to make a handful of valentine's projects to share on the blog all next week. i got my hands on the new making memories love struck collection recently, and wanted to start with that. the first thing i pulled out was the love struck garland kit. this is a really cute kit, that has everything you need to make the 3 garlands shown above. but i knew that for me personally, i wouldn't hang up something like that. but i loved the individual pieces to the kit. so i thought i would use it to make some other projects. here is one of the cards i made. there were 4 of the decorative edged square pattern papers, so i made 4 simple cards using them. simply adhered them to white cardstock, and then added a few random embellishments from the rest of the collection. you can see the other 3 cards i made over on the making memories blog today. and stay tuned, because i did a really fun layout using the garland kit too. 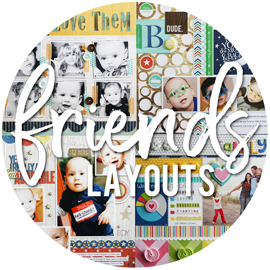 had this layout go up on the jillibean soup blog today, along with a few more from other design team members. this was using the new kraft new england chowder collection. i love the little cars in this collection, they're so cute. this would be great for a travel layout, but my first thought was boys. so naturally, i figured i'd do a layout about nikolas. the girls seemed to be concerned that there were no actual cars or trucks in the photo. but i assured them it was fine, and that the point of my layout was to remember how much this boy LOVES his cars and trucks. i used the new white corrugated alphas, and just inked the edges up a little and adhered them with mini pop dots. used some of the new alphabeans letter stickers. as much as i loved the previous font of the stickers and will miss them, i do love this new font too. i punched a few of the car circles from the pattern paper, and pop dotted them onto some journaling sprouts. then added some of the cool bean buttons. do you remember THIS POST of mine from about a month ago? it was such a great idea. to capture a photo of my island once a week, to show what's going on at the time. apparently i didn't keep up so well on this idea. but i do have 2 photos. and since only a month has passed, that's not so bad. this was around the second week of january. i couldn't post this photo at the time, because i had my not-yet-seen making memories products that i wasn't able to share with you yet. that is seriously the hardest part of this job. having goodies and working on projects, and then not being able to share for a few weeks or even months. anyways. i was working with the new MM panorama collection, and making some sample layouts. i also have some of my jillibean soup projects up there. i have a pile of paperwork, 2009 planner, and an envelope of receipts for tax stuff. my project 365 album is sitting there, to work on. and i see alyssa's binder. fast forward 3 weeks, and this is what my island looks like today. project 365 album is still sitting there, still waiting to be worked on. the paperwork and tax stuff is still there, but now resides in that black basket. a pile with a hero arts catalog that i need to order from, my magazines for my giveaway, and my planner for my scrapbook stuff. a crayon box, and pile of markers that are left over from alyssa working on a science project posterboard last week. i keep asking the girls to put them away, but no one's listening i guess. a webkinz doggie that haley grabbed from sarah's room one morning. i keep asking that the dog goes back upstairs too, but still a no-go. a baseball, that i have no idea why it's in the house. but nikolas was trying to throw it, and that didn't seem like such a great idea. a pair of my pajama pants, since i don't have access to my bedroom during the day (joe works nights, and sleeps all day). sometimes i have to stick my jeans in the dryer for a bit, when they get too loose. lol! and scrapbook related? all the other stuff. 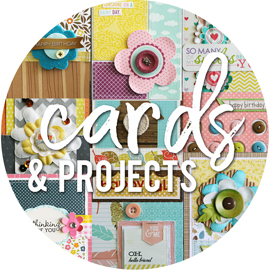 i have the new making memories lovestruck collection out, and am making some little projects that i'm going to share on my blog next week. have you seen the new scrapbooking tips & tricks premier issue, from creating keepsakes magazine? this is a special issue that will come out 4 times a year. and this first one is all about organization. there are over 200 easy ideas to help organize your supplies, layouts, albums, and more. 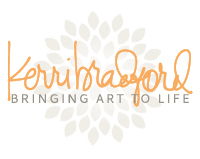 want to get 20% off the purchase price? use the promo code TIPSB at checkout, which is good until february 15th. do you want to get it FREE? i have two extra copies to give away to two of my lucky blog readers. so just leave me a comment, and i'll draw two names on friday morning. creating keepsakes is also hosting a scrapper bowl this entire week. keeping with the super bowl theme. which apparently is some ubberly important football game going on this coming weekend. lol! doesn't a scrapper's bowl sound like so much more fun! they have come up with some ideas and activities, so make sure and check out the link. here's a lineup of the articles, to give you an idea of what's going on. * Monday: The “Are You Ready for Some Football?” article provides a blitz of great ideas for sports pages. * Tuesday: Our “Get a Quarter Back” article teaches money-saving ideas for your scrapbooks. * Wednesday: Move down the field one yard at a time–our “Yard Lines” article shares five ways to incorporate fabric into your albums. * Thursday: Run the X and O plays from the coach’s playbook using ideas for scrapbooking relationships with loved ones in our “XOXO” article. * Friday: Check out the “Red Zone” article for color tips to help you add a touch of red to your scrapbook pages. * Saturday: Use the ideas in our “Touchdown” article help you scrapbook your successes. * Sunday: Wrap up the week by catching the post-game action in our “On the Sidelines” article for great border ideas for your pages. i think i've put off this post a bit, because it's so hard to sum up my first CHA experience. i had such a great time. four days of jam packed goodness. a six hour drive there, and an eight hour drive home (took me two hours to get out of LA). dropping finished projects off on street corners and not quite done booths. met so many people. online friends, new friends, and all sorts of people that i've admired and followed over the years. first up, my roommate and BFF in this experience. and i'm warning you up front, some of these photos aren't great. in fact, some are terrible quality. i feel better knowing that i wasn't the only one that wasn't sure what to set the camera settings on. lol! some of these gems are from my camera, some are lynn's camera, and some are ones that i got from everyone else's camera's. we'll settle for the blurry, grainy, and off color photos, if it means having something to remember it by. i wish i had more grainy photos in all honesty. i didn't take enough and i regret that. lynn ghahary has become one of my closest friends over the last year or so. and neither of us had been to CHA before. so we just decided a few months back that we would go. i have only met one or two of my closest online friends in real life. so this was so cool. i'm so glad we got to do this together. lynn worked the make and take table at the GCD booth in the mornings. i could always find her, by listening for the hammering ;) i finally did their make and take on tuesday morning, and we made the coolest necklace. i really do love it. since she worked the booth in the mornings, that left me on my own. i met up with the CK editors the first morning, to get my badge. and i got to hang out with them for a few hours, while they checked out all the new exhibitors. stopped at the creating keepsakes booth, where elizabeth was doing a book signing. in the back is me, suzy plantamura (fellow dream teamer), joannie mcbride from CK, and megan hoeppner from CK. and in front, is the adorable elizabeth. we all had a CK dinner later that night, along with kim jackson from CK, and mou saha. had such a great time, and great conversation. a lot of laughing. i was a little more on the quiet side during dinner. honestly, i was just in awe that i was amoungst such a great group of talented and fun girls. it was something i'll never forget. elizabeth kartchner is seriously the cutest girl ever. i love my green eyes, but they have nothing on her's. lol! 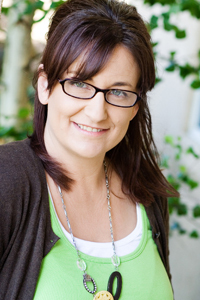 i have been a huge fan of her's for a few years, and a loyal blog follower. it was the coolest thing to meet her in person. she really is the sweetest and kindest person. suzy had to be the most hilarious person i met at the show. she warned me up front, that she was a little hyper and crazy. and yes, she was. lol! but in a good way. she had me laughing the entire time we hung out. i walked the floor with her and her two best friends one of the mornings, and they definately know how to have fun. like when suzy hopped on liz's bike from the booth, and rode it down the aisle's. it was the funniest thing, even if she did get a few dirty looks doing it. lol! i got to see doris sander over at jenni bowlin's booth. doris and i were on the lil davis design team together years ago. doris was so softspoken and sweet. and i say that in a good way. i guess i had it in my head that she was loud and crazy. no idea why. lol! it's funny how you get a certain idea of someone in your head, just from reading their blogs or chatting online. this is really a bad photo, but i'm posting it anyways. lol! i also got to visit with kelly goree for a while. the first night i was there, i was hanging in the jillibean soup booth. and kelly came over to talk to the girls there. i didn't say anything, and was just standing off to the side. in the middle of a conversation, she yelled "hi laura vegas". it was so funny. and i was thinking "omg, kelly goree knows my name". lol! also ran into suzanne sergi, while i was walking around the making memories booth. we've emailed back and forth for quite some time now, and it was so nice to meet her in person. i met becky olsen the first day, while checking out the teresa collins booth. i knew her face, and i knew her name. but i was having a hard time putting together where i knew her from or her work. when i got home, i was looking through some current magazines, and i kept seeing her all over the place. so now i have her all pieced together in my mind. lol! becky was so nice, and i had a great time meeting her. we consistently ran into each other a few times a day for the next 3 days. it was kind of funny, that everywhere i went, there she was. i wish i had more photos of all the other talented designers i got to meet. i would meet them so fast, that i just didn't think to take the camera out all the time. it's a long list, and i really want to remember them all. one of my favorites was jennifer mcquire, because she's so amazingly talented. another favorite was jennifer johner. i had told her a few weeks ago that i really loved her blog, and that i secretly wanted to live in her house (her home decor is so stinkin cute). and i was glad to know that didn't scare her away from me, and she actually came and found me at the show. lol! i could go and list all my other favorites, but that would take me a while. putting the names to the faces and the faces to the names. that was one of the things i loved the most about CHA. 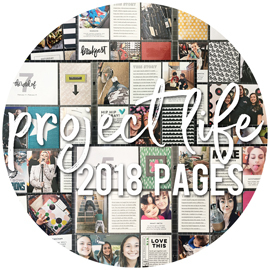 you follow all these amazing scrapbookers over the years and you get go know their work. you know where they're featured (magazines, online), and who they design for. sometimes, you know way more information about them than maybe you should know. lol! so it's fun to get to meet so many of these people in real life. everytime you'd see someone, you would glance from their face to their name badge. and you'd mentally piece it all together. how you knew them and where you knew them from. it was so cool. 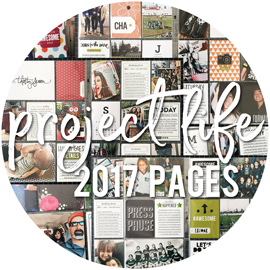 to be surrounded by designers that all have the same passion for scrapbooking, and that can relate to the "job" part of what we do. it was just amazing. i'm sure i could go on and on. i have gone on and on to a few friends about this whole trip. there's just so much more to say about it and to remember. but this summary is going to have to do for now.